Description Color is fading. 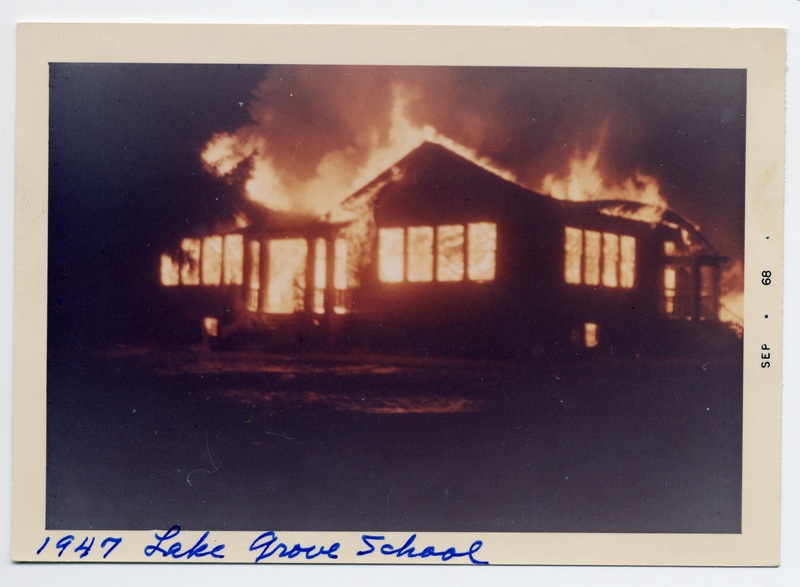 Fire occurred Feb. 10, 1948, although written on front of photo is: 1947 Lake Grove School. Printed on photo front: Sep. '68.